Stroll along and view the other farm yard animals. You can also view our display of egg artistry, blown eggs, feathers and other hand made craft. 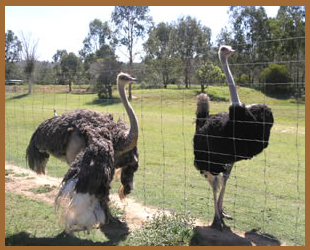 Come visit our Ostrich and Fish Farm! You get a guided walk and talk about ostriches with your hosts – Alan & Patti Jaenke. You can also meet and get your photo with our pet ostrich “Jill” or just feed her and pat her. There are also orchards (Olives) and small crops (e.g Watermelons) grown on the farm for visitors to view and learn about. You can feed our pet emu – “Lou Lou”, black swans, geese, cape barren geese, guinea fowls, ducks and you might even see a koala. We now have a beautiful pair of mute swans (large white swans). For the adventurous you may Catch, Kiss & Release fish back into the water from our large lakes. We supply rods with barbless hooks (as this doesn’t harm the fish), or you may want to try your own fishing gear, or just sit back and watch the fun & wildlife. Patti is also a wildlife animal carer and often has many interesting native fauna under care that you may find interesing! The Ramblers Drop Zone at Toogoolawah, near Brisbane in Australia is Queensland’s largest and longest established skydiving operation. 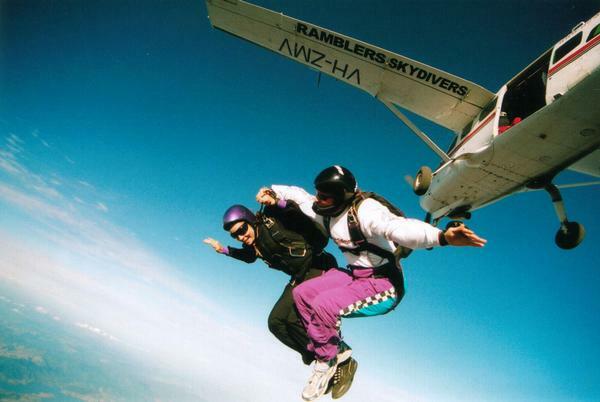 We have been teaching people to jump out of aeroplanes since 1972 and taking people for tandem jumps since 1984. We love our job and we would like to take you skydiving too! You can learn to skydive in one day or you can do a tandem in one hour. The Brisbane Valley Rail Trail will recycle the old Brisbane Valley rail line. 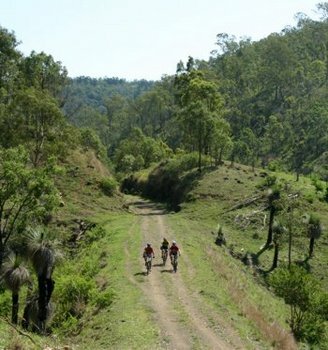 The 148 kilometre recreation trail from Ipswich to Blackbutt will provide walkers, cyclists and horse riders an opportunity to experience the history and landscape of the Brisbane River Valley. The trail will follow the old rail line along the western side of the Brisbane River and will travel through farming landscapes, native and plantation forests, rural, residential and country towns. Currently the Fernvale to Lowood and the Linville to Blackbutt sections of the trail are open. Cyclists, walkers and horse riders will be catered for by a range of services, accommodation and facilities in towns along the trail. It is the longest rail trail in Australia. Every 3rd Sunday from 1pm at Coominya Public Hall 0488 169 162 (stall holders welcome).